Always be calm and speak professionally, never get into a verbal altercation with a driver while he is dispatched on your load as you don’t need to take risk of getting into a situation that could potentially turn bad. Dispatching means the process of assigning motor carriers to your loads. Once you and your cli- ent have discussed the line haul rate, you will have to start searching for a motor carrier willing to haul the load. There are many ways to find motor carriers. You will have to complete some formalities like signing the set-up contract, preparing the rate sheet and scrutinizing the safety ratings of the motor carrier before you can start the dispatch process. It is important to complete all the formalities to prevent any legal or financial issues at a later stage. If you are brokering a load you will be following the roles and responsibilities of a contractor. While availing the services of the motor carrier you need to have an arrangement or ‘set-up’ with the carrier. ‘Set-up’ means the contract agreement which has been chalked out between you and the motor carrier. In case you aren’t aware of the process of creating a contract then you should seek assistance from a lawyer who will draft a proper contract with the help of any sample con- tract form. resolved with the exception of force majeure incidents “Acts Of God”. There are numerous forms & agreements which have to be filled before you can begin to dispatch. Such forms and agreements are used during various stages of the dispatch process. However, it is important to know the purpose of these forms and agreements. Majority of the companies include a lot of legal terms in their set up contracts to protect their prospecting endeavor. It is also necessary for the brokers to have a ‘back end solution clause’ which is informally called a ‘non complete’ agreement with their set up contract to avoid the pos-sibility of the carrier hauling directly from the clients. Thus as a freight broker, you are sure that the efforts of procuring a client have not gone waste. In case the motor carrier ends up directly dealing with your customer then it will be mandatory for them to share a certain percent of the revenue they have earned from that customer. Thus, this is the best solution to safeguard your business. In case you do not have any set up agreement with a carrier and intend to dispatch for the first time, then it is better to find out more about the Motor Carrier Snapshot or Safety Rating. By do- ing so, you can find out a lot about the motor carrier. Some vital information you will get is the number of units on file with the FMCSA, the drivers they have employed and their safety snap- shot. You will also get to know their ‘Out of Service’ ratio. A motor carrier can be termed ‘Out of Service’ by the USDOT in case it does not adhere to the regulations which have been laid down by the FMCSA. But this is not always accurate. For in- stance, in case a carrier has just one truck and yet was given a 100% Out of Service rating, it may mean that the truck was being handled by the owner himself and had once been declared ‘Out of Service’ due to a small or major issue. This could have happened unintentionally due to ignorance about the law. Besides, if the car-rier has two trucks, out of which one got an ‘Out of Service’ label then it amounts to 50%, which indeed cuts a sorry picture. However if the same carrier had 100 trucks out of which one was labeled ‘Out of Service’ then the rating would be a mere 1%. Hence, focus on looking for a carrier that has a low Out of Service Percentage. However, this will not make sense unless you find out about the total number of units they possess. After you dispatch the carrier, do not assume that everything is moving smoothly. You should keep in contact with the truck driver directly or the agent and dispatch personnel responsible for that carrier. Your customer is depending on you to know where their freight is and whether or not it’s going to be on time for delivery. And if there is a change in plans, such as a mechanical failure or bad weather conditions, your customer may also need to notify their customer. If the motor carrier does not contact you, you should contact them each day while they are dispatched under your load. When contacting customers and carriers, consider the time zone in which they are located. Cancellation occurs when the carrier has already signed a rate confirmation agreement and agreed to transport your freight, then for whatever reason, chooses not to haul it. In case the carrier fails to pick-up a load after agreeing to do so, you will have to find an alternative truck to service your customer. Motor carriers use backhaul loads to get back into their home or to an area where they have direct shipper contacts. Obviously, motor carriers can secure better paying freight from their own customers. For this reason, carriers opt to pre-plan their trucks in a direction that will put them closer to their direct customer base. Getting into dispatching could never be easier! 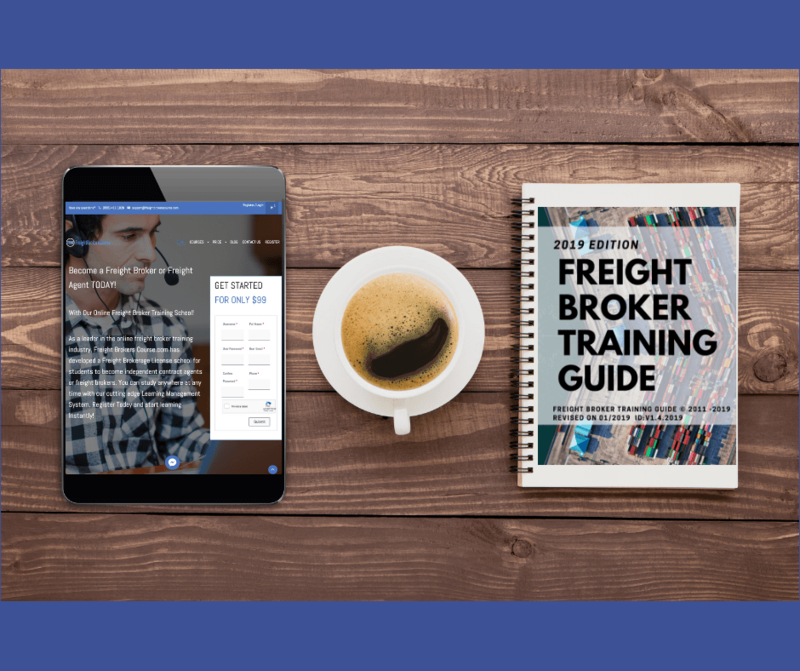 With our comprehensive freight dispatching training course and online tools you will be far ahead of your peers who have taken broker training courses elsewhere. Enroll with a friend and SAVE! The transportation industry has it’s own ‘lingo’. If you can’t speak the language or have any idea what a trucker is talking about. How much weight can a trucker legally have on his tandems do you know? Or on his steering axle? Or what are considered bad states and locations to send a driver because it will be difficult to find them a load out of that area and they will have a lot of deadhead miles to get to a more profitable location. What does it mean when he says he’s bob-tailing or he’s over on his tandems you’ll have a difficult time in this business until you’re familiar with the terminology. 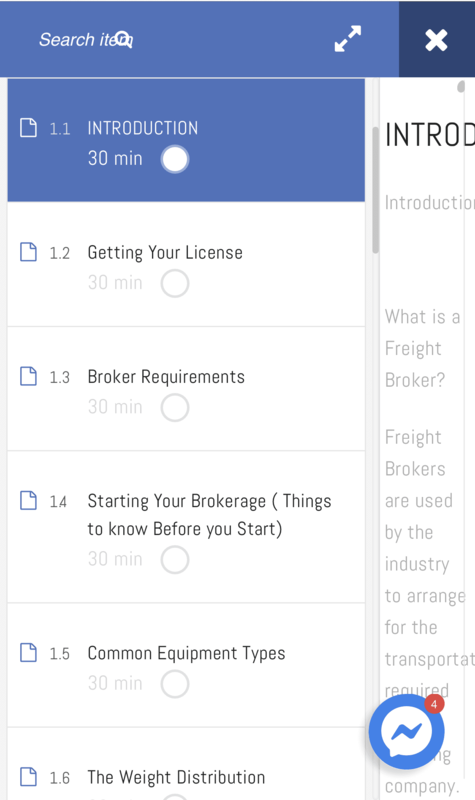 This is the type of on the job information we compile into our course, to prepare you for everyday situations like this in the logistics industry, and in a demanding “spot market” industry these tools will give you the competitive edge to make quick decisions that will earn you better profits.